Innovative and impactful solutions for our retail distribution customers. Largest distributor of grocery products. Exists to serve our American heroes and their families, at home and abroad. We supply products and services to help independent grocery retail customers operate efficiently and compete successfully. We'll provide you with a differentiated go-to-market strategy and value added partnership. Sell your products while working together with the most progressive food wholesaler/retailer in the Midwest. 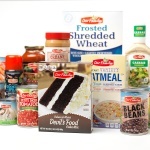 Our more than 155 owned and operated grocery supermarkets offer value, convenience and a quality shopping experience. More than 155 owned and operated grocery supermarkets across the Midwest. yes loyalty program offers everyday savings in our stores, with exclusive coupons, & savings on prescriptions and fuel. A diverse line of private brands adds depth to our product variety while offering consumers quality and value. A wealth of information about our company's business that's relevant to shareholders. View current stock information for SpartanNash including a stock chart and historical stock performance data. 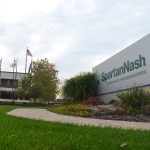 Stay on top of the latest SpartanNash news and announcements that relate to our financial status and company overview.